Do you want to help run an internationally recognised sports event in 2018? IRONKIDS Edinburgh is a series of running events for children aged 3-15 years being held in East Lothian, Midlothian and Edinburgh on June 29th and June 30th 2018. 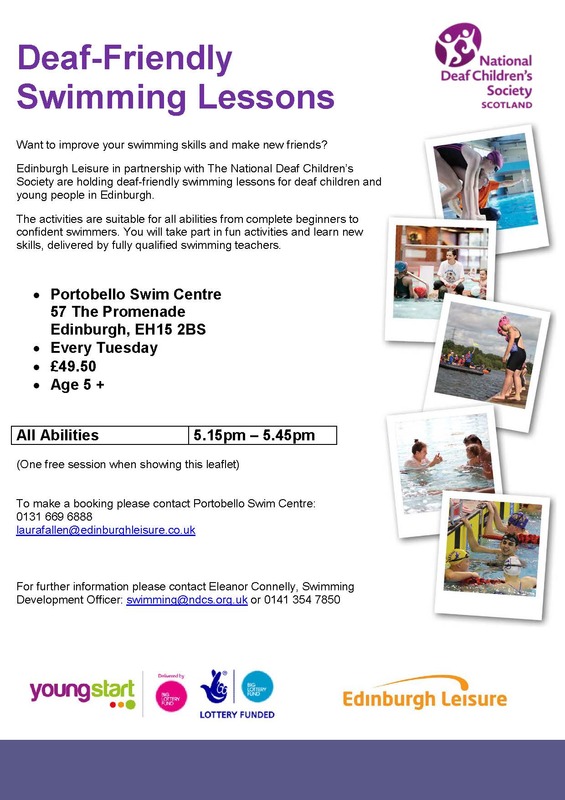 IRONKIDS Edinburgh is part of The Year of Young People 2018 event programme, and is being organised in conjunction with IRONMAN 70.3 Edinburgh, the legendary endurance, multisport race of a 1.2 mile swim, 56 mile bike, 13.1 mile run which returns to the capital on Sunday 01 July 2018. With support from The Year of Young people we are excited to extend IRONMAN Edinburgh 70.3 to include running events specifically for children and young people. IRONKIDS is part of a global series that every year has over 50,000 kids aged 3-15 years running races that are a distance of between 500m and 2000m. We need your support to make sure that IRONKIDS Edinburgh is the best event on the world circuit! 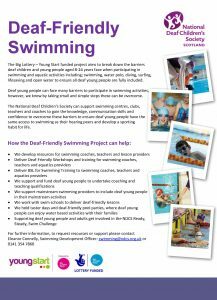 We want to see 1000 kids taking part in each of the race venues in Prestonpans, Dalkeith Country Park and Holyrood Park and we are looking for a team of young volunteers (aged 8-26 years) to make it happen. 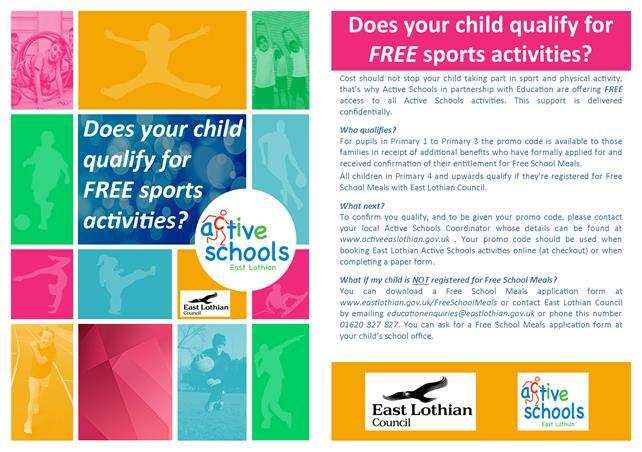 • Organise and run entertainment programmes and sport taster sessions at each of the events. Make your event special, who and what will you plan to showcase your local area? We’ll give you a budget to make this happen! Please see below information regarding the S1 Health and Wellbeing Event taking place on Tuesday 30 May. Did your daughter miss out on HPV (cervical cancer) vaccination when school nurses were with us? There is another opportunity to get it in June. More details are below. Up to date with MMR vaccination ? 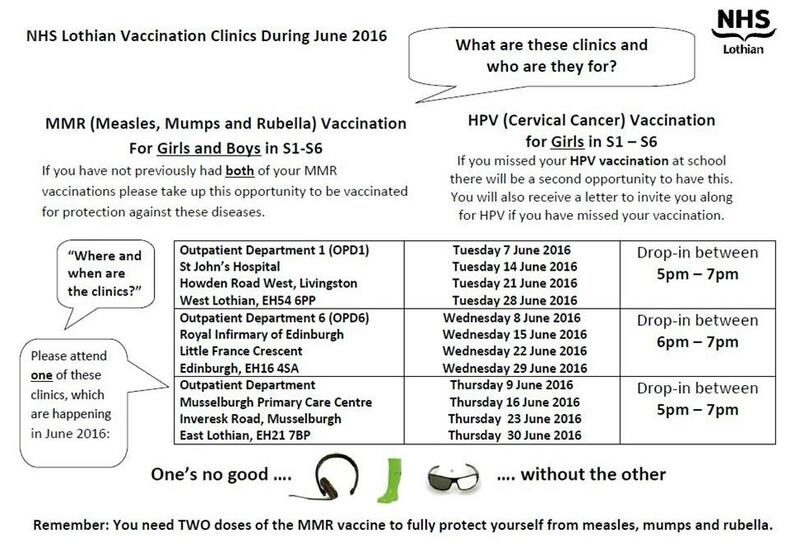 If not please see below for details of MMR clinics being run by NHS Lothian in June. MMR protects against measles, mumps and rubella. 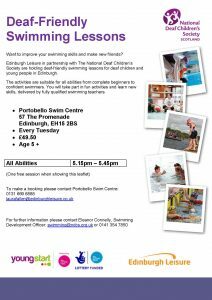 If you are an S3- S6 pupil and attend Preston Lodge High School and missed your vaccination(s) at school recently there will be a second opportunity to have this. All 5K walk sponsorship forms should be returned to the school by Monday 16 June. Thanks. Thanks to immunisation, diseases such as polio have disappeared in the UK. However, these diseases could come back as they are still seen in many countries throughout the world – which is why it’s so important to get your jabs. Although you were probably immunised against tetanus, diphtheria and polio as a child, and may have some protection, you still need a Teenage booster to complete your routine immunisations and give you longer-term protection. Likewise you need a booster dose of the MenC vaccine as a teenager to be protected from meningitis and septicaemia (blood poisoning) caused by meningococcal group C bacteria. The booster dose increases protection against MenC and is given at the same time as the tetanus, diphtheria and polio booster. Likewise many teenagers have not had the two doses of the MMR vaccine required to ensure they are protected from Measles, Mumps and Rubella. The HPV vaccine, given to girls in S2, protects against cervical cancer. 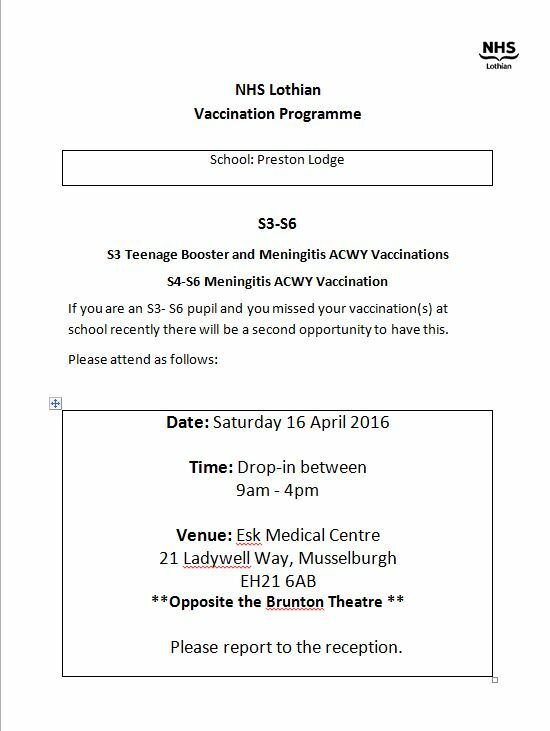 These vaccinations are provided in school by the NHS Lothian school nurse team. If you are due to be vaccinated you will receive a letter. Please ensure you read this and discuss vaccination with your parents or carers. Please return completed consent forms to the school. More information can be found on the Immunisation Scotland website.